Tom was born and raised in England. He comes from a family who was involved in racing. His Uncle David Morley was a multiple group 1 winning trainer. He also has a cousin Henry Daly who is a multiple grade 1 winning jump trainer. Add to the fact he has two cousins who are bloodstock agents and his father owns horses, you can say horse racing was pretty much ingrained in Tom. He was given his first job in racing as a pupil assistant to Ed Dunlop at his Gainesborough Stable. Then after graduating from Newcastle University he was fortunate enough to be selected for the Darley Flying Start Program, a management trainee course sponsored by Sheik Mohammed Bin Rashid Al Maktoum. The course offered a vast amount of experience over a two year period studying and working in practical situations across the globe. After graduating from the program Tom joined Jeremy Noseda at his Shalfleet stable in Newmarket for 4 years as an assistant trainer. During his time there he was lucky enough to be involved in the preparation of multiple group and grade 1 winners including Fleeting Spirit, Soldiers Tale, classic winning Sixties Icon, and a host of other top class horses. 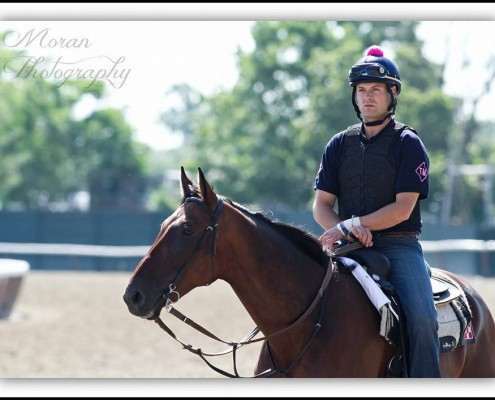 In 2010 Tom came to the states where he joined Eddie Kenneally in his operation initially working in Florida, Keeneland, and Churchill Downs before helping Eddie open and develop his New York operation. During his time with Eddie he worked alongside some excellent horses such as Sandiva, Custom For Carlos, Honorable Dillon, Majestic Hussar, and Heavenly Landing. After 18 months working and learning under Eddie Kenneally, Tom was ready to venture on his own. Tom launched his business in 2013 and in only his second start as a trainer he saddled Treblemaker to a victory at Aqueduct. Tom also won his first start at Saratoga saddling Scribbling Sarah to victory. He ended his first year winning 11% of his races with earnings of $359,187. In 2014, Tom’s career really took off where he won at an 18% clip with earnings of $1,092,093. Tom is a well respected up-and-coming young trainer who has already established a strong reputation on one of the toughest racing circuits in the country. 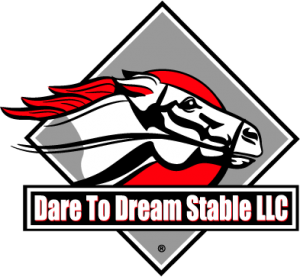 He will train the Dare To Dream horses based on the New York circuit.